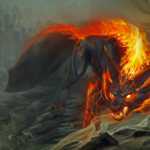 This Halcyon Well guardian is a snarling, frightening sight in the jungle. 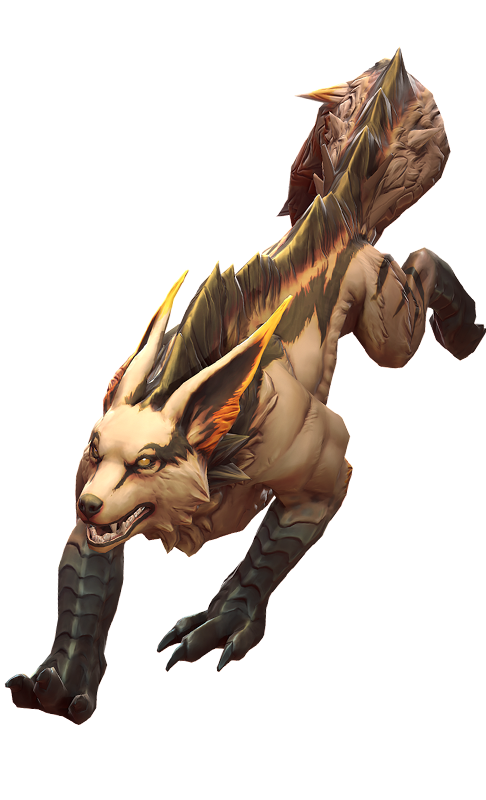 He stalks prey, closes in with teammates, flanks targets and creates challenging, multi-front confrontations. Stay near your allies and bite and claw your way to kills. When Fortress is near an allied hero, he will move faster after 1 second. He will maintain this move-speed bonus so long as he’s alongside any allied hero. Fortress marks the target enemy as prey and his next basic attack becomes a short-range lunge. Fortress and allied heroes gain move speed when moving toward anything marked as prey. Fortress claws his target for crystal damage and causes it to bleed. Bleeding targets take 25 +15% of crystal power as damage every second. Attacks from Fortress and his allies have +10% lifesteal against bleeding targets and increase bleeding by one stack. Upon reaching 6 stacks, the target is dealt a burst of damage based on its max health, is slowed by 30% and receives mortal wound (-33% healing). 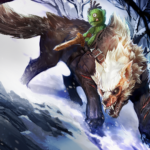 Fortress howls, gaining increased health and attack speed and calls to him a pack of wolves. Each pack wolf seeks out a different enemy hero. These wolves apply bleeding with their basic attacks. 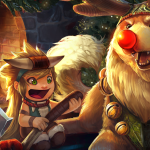 At first, I had Rona and Fortress playing outside for the splash art, but I decided that I wanted it to be warm, like the cuddly Christmases I had as a kid, around the fireplace, with lots of friends and family. I referenced excited kids opening their best presents – of course, Rona’s dream is to have an axe at age three. For maximum cute overload, I combined a Samoyed and a Shiba Inu to make the fluffiest fluffy dog ever. I gave him plush corduroy antlers and intricate embossing on the leathers like sleigh horses have. Fortress can take over Santa’s fleet. I have gotten so many hugs, smiles, and good feelings from people looking over my shoulder while painting the splash. Now I want to play Rona as a baby.